The hustle and bustle of the holiday season can be a challenging time for businesses. For retail businesses, apart from increased sales in-store and online, customers are also more likely to contact customer service over queries such as delivery or collection of orders, product availability, and making returns or exchanges. For Technical Support teams, however, it may actually mean a drop in the number of inbound calls but they also have to manage staff taking holiday and working on a reduced schedule. Sustaining high levels of customer service during this time can actually give businesses the chance to shine and build up customer loyalty that will last them throughout the coming year. This has been another, remarkably busy year at SYNETY. Building on the changes from last year, our focus was on strengthening our CloudCall solution, developing new integrations with partners and enhancing our Company infrastructures and capabilities. Leaving an effective voicemail for a prospect isn’t always as simple as it seems. Last week, we shared hints and tips on how you can leave clearer and more concise voicemails, each and every time. 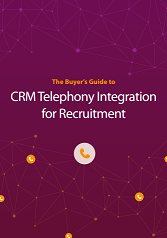 However, in order to enhance this process further – can automation help to improve the voicemails that you leave, giving you and your teams more time to make more calls? With less than a month to go before Christmas, it’s that time of the year again, when prospects and customers are getting harder to reach and you’ve got sales targets to hit before the end of the year. But what happens when your call isn’t answered and you have to leave a voicemail?